We have several Sales and Freebies set up in Store and Online! All items with their specific Manufacturer Sale are listed below. 20% off Storewide with Code: DDBFSALE20 (some exclusions apply). To make your shopping experience as easy as possible, all Tier Freebies will show up in a pop up banner in your Cart. Select your desired Freebie at checkout. Please be patient and let the cart load with all the freebies, then select one Freebie for your Order. Our freebies can not be stacked, however you may place as many Orders as you like and select a new Freebie, but we will only add one Freebie from the pop-up you select. Dearest Diapers reserves the right to substitute Tier Freebies in case we run out, with items of equal or higher value. You may leave a note in the order comments with your size/color preference, however ultimately DD picks the Freebie. Can I change or add to my Order? Once an Order has been placed we are unable to change the Order or combine it with another Order to get you into the next higher Tier. 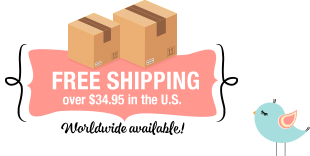 However you can place multiple Orders to fall into a different Tier Freebie with each Order. We will be working on shipping throughout the Sale. Due to expected higher Order Volumes, please allow a few additional days for Shipping. You will receive a shipping notice to the email address or phone number provided during checkout once your Order ships (please check your spam folder too). Please check our return policy to see if your item(s) is/are eligible for Returns/Cancellations. In addition, due to the nature of Back Friday Promotions any returns made will be issued as Dearest Diapers Store Credit Only! You can use your rewards codes and select your freebie during checkout, while taking advantage of our Sales. You can use our 20% off code (exclusions apply) and select your freebie during checkout, while taking advantage of our Sales. However you can not use your rewards code and the 20% off code in the same transaction, since both are considered discount codes. All payment options will be available during our Sale.